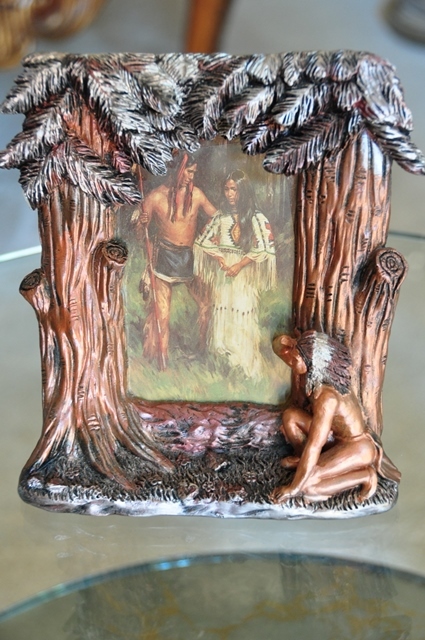 This is an ​ornate picture frame with image of a Native American couple. 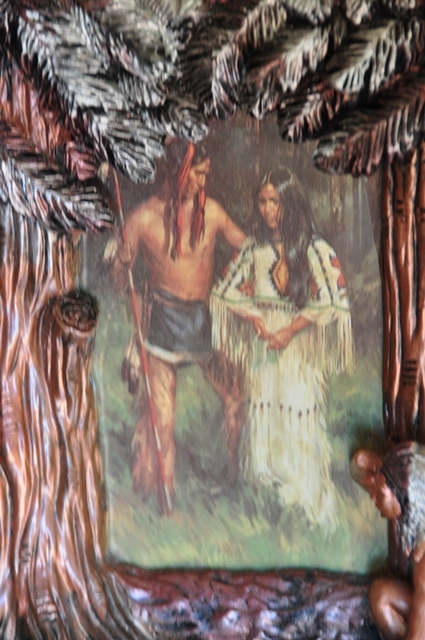 The sides of the frame are in the form of 2 pine trees in relief. 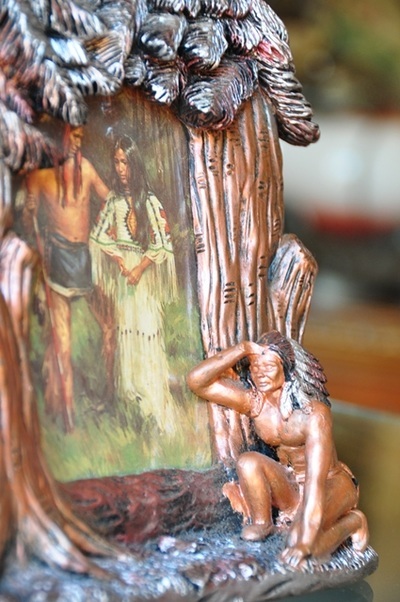 On the bottom right there is a statue of another Native American in kneeling position. 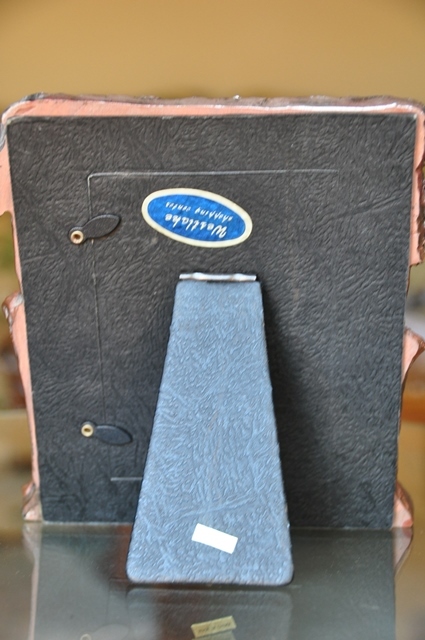 The frame is 6.5" wide and 7" tall.